Our annual July 4th barbecue used to mean mosquitos everywhere. The first company we called never showed up. A friend suggested East End Tick Control. Brian and his team are top notch. True professionals. Thanks for everything. My husband got Lyme disease a few years ago and we’ve used East End Tick Control’s service ever since. He was so sick and our doctor never tested for Lyme’s, so the disease progressed for almost a year untreated. This is a terrible disease. 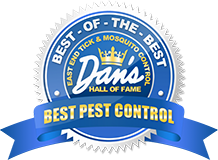 We wish we’d known about East End Tick Control before it ever happened and sincerely recommend their services. My partner and I run a bed and breakfast. Many guests bring dogs who invariably explore the woods, which would be fine except for the tick issue! Spraying gives us (and our guests) peace of mind and we’ve had zero reports of tick incidents since we started. We also use East End Tick Control’s party spraying service ahead of big occasions and we’re very happy with the results. We were somewhat skeptical of a tick control service but tried it one summer after finding several ticks on ourselves. We’ve used the service for 12 years now and have not had a single tick sighting. The proof speaks for itself. I wouldn't go a summer without it! There’s no way I want those blood sucking diseased bugs anywhere near me or my family. So far, so good. You guys are the best!! I’m a part-time party planner and have seen many outdoor parties ruined by mosquitos and bugs. 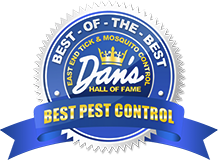 I have recommended East End Tick many times and their services are extremely effective.